Boyds, Md. (Jan. 7, 2019) – Newly-appointed Washington Spirit CEO Larry Best is inviting Spirit fans throughout the community to contact him directly with questions, concerns and feedback on the club. 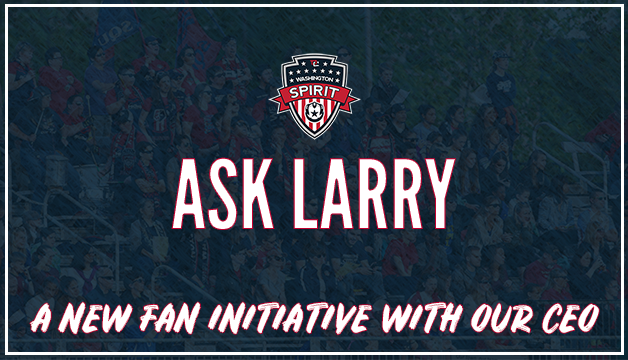 The new initiative, entitled ‘Ask Larry’, will increase community engagement with free-flowing communication between the club and the fan base. Fans are encouraged to contact Best at CEO@WashSpirit.com.